August 10, 2007 marks the celebration of the 85-year anniversary of San Francisco's beloved Castro Theatre, what Gary Morris at Bright Lights Film Journal nicknames "The Church of Camp" because—as he so wryly proposes—"At some point that historians have yet to determine, camp replaced Christianity for many of us." 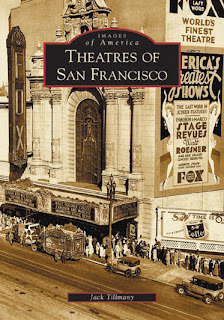 In his slim yet elegant tribute to the movie palaces of San Francisco's yesteryear, Jack Tillmany's 2005 volume Theatres of San Francisco is requisite reading for any self-respecting Bay Area cinephile. On his acknowledgements page Tillmany includes a photograph taken from the stage of the capacity opening night audience for the first Castro Theatre, built and operated by the Nasser Brothers—Abraham, Albert and Sam—upon its opening on Wednesday, December 21, 1910. 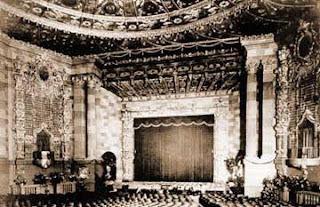 The success of that venture precipitated the building of today's Castro Theatre in 1922. 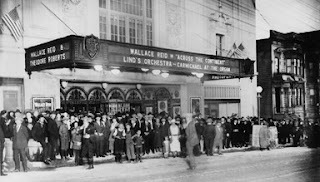 Tillmany qualifies that the Castro Theatre actually opened its doors on June 22, 1922, at 429 Castro Street. 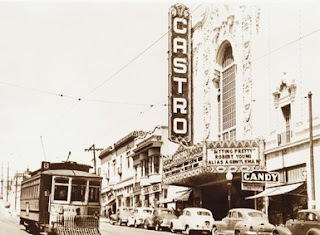 (Oddly enough, I have never known the address of the Castro Theatre. Whenever I've had a cab take me there, it's never been necessary to know.) Tillmany writes: "It was designed by Timothy Pflueger, whose career supposedly originated with the Castro commission, and was built at a cost of $300,000 by the Nasser Brothers, whose family continues to operate it today. 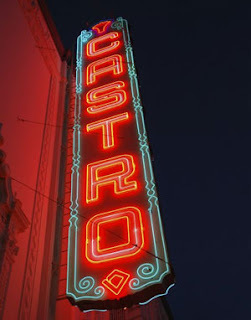 For the first 50 years of its existence, the Castro was never a first-run operation. It was simply an unpretentious link in the Nasser Brothers chain, a third-run house with moderately priced double features aimed at neighborhood residents. "…In 1954, in order to properly deal with widescreen projection, the screen was moved from the original miniscule proscenium against the back wall to the front of the stage and extended from pillar to pillar. In October 1989, the Loma Prieta earthquake took a heavy toll on the rococo features …; however, careful restoration over the ensuing years has kept the auditorium in otherwise near-vintage condition. The Western Neighborhoods Project had the good sense to interview Jack Tillmany—former owner of the Gateway Cinema and a major contributor to the IMdb—back when the book came out and have likewise published his fascinating account of experiencing a streetcar accident on what was then the 31/Balboa. Cinema Treasures likewise profiled Tillmany upon the book's publication. Tillmany has also published a companion volume The Theatres of Oakland. Further history on the Castro Theatre can be found at the theater's website, which includes the aforementioned Bright Lights Film Journal essay, the entry on the Cinema Treasures website, and an entry on the American Theatre Organ Society website which specifies that the installation of the present Mighty Wurlitzer organ began in 1979 under the direction of Richard Taylor and Ed Stout. My SF360 interview with Ed Stout can be found here. In a sweet, generous gesture to its beginnings, The Castro Theatre will be screening Laurel and Hardy's Way Out West and a Bugs Bunny cartoon carnival on Saturday, August 11, 11:00AM, for the historic price of 25¢; the same price as on opening day 1922! 08/10/07 UPDATE: Max Goldberg amplifies the Castro's history at SF360. Sis, how lovely of you to stop by and comment regarding your first experience of the Castro Theatre. Thank you! We've been blessed, all the movies we've seen together over the years. I love you.